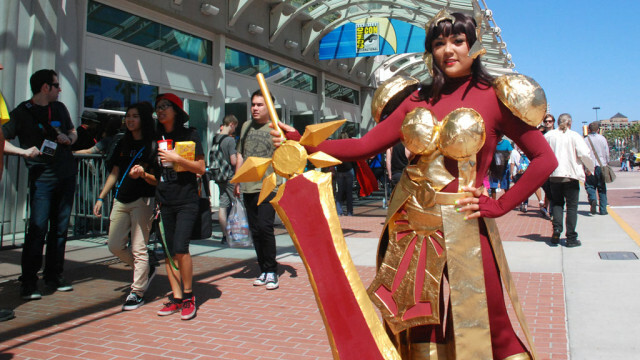 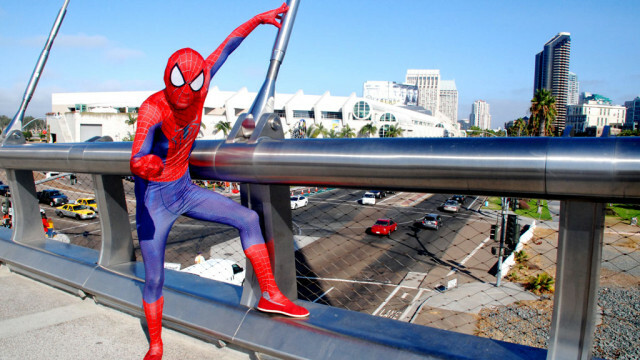 Dressed for excess outside Comic-Con at the San Diego Convention Center. 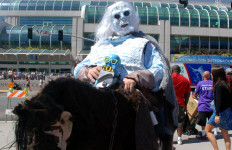 Spooky horsemen outside Comic-Con at the San Diego Convention Center. 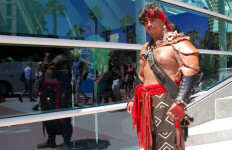 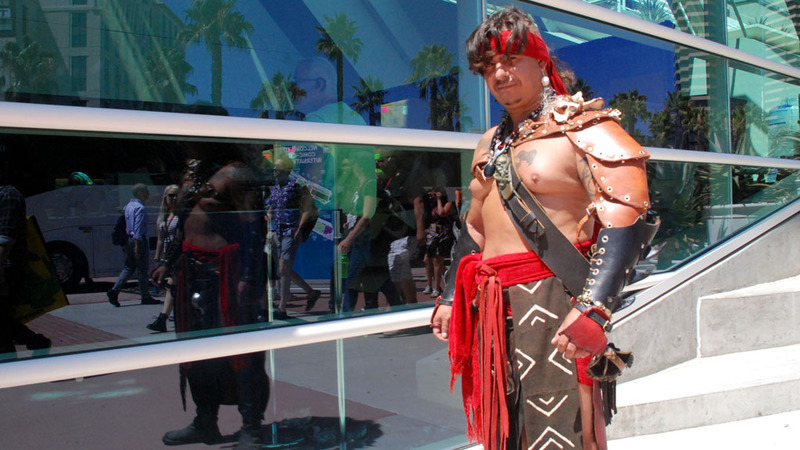 Al Morillo of Granada Hills outside Comic-Con at the San Diego Convention Center. 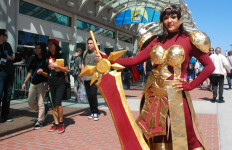 Sarah Nipwoda of Baltimore in the Gaslamp Quarter. 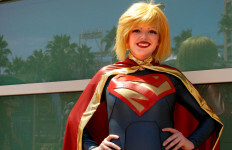 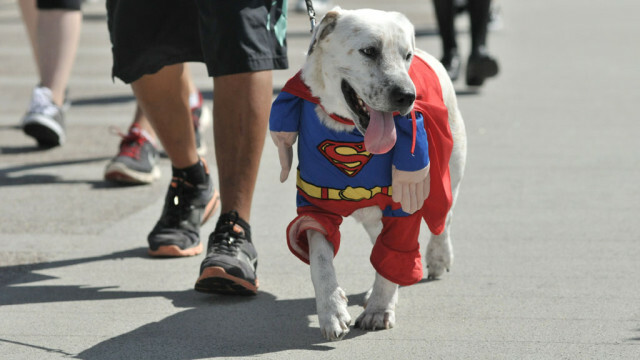 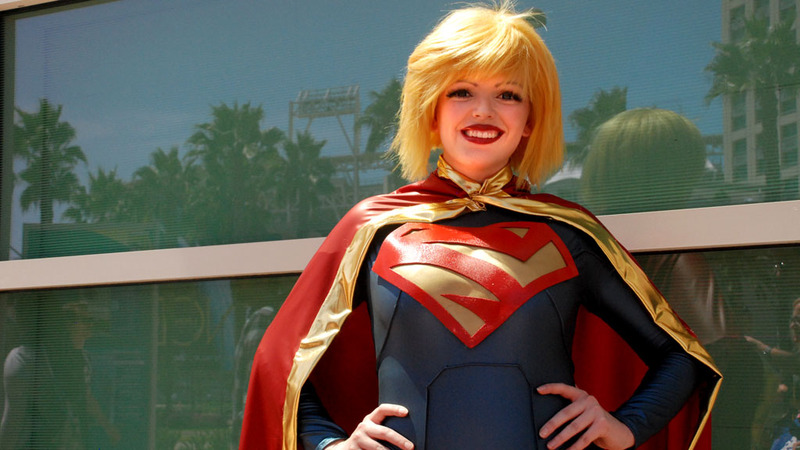 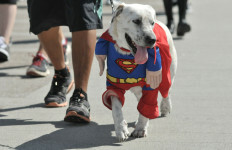 Superdog crossing bridge to Comic-Con at the San Diego Convention Center. 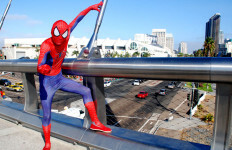 Spidey is Sam Conley of Montebello on bridge overlooking Comic-Con at the San Diego Convention Center. 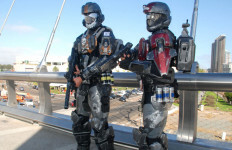 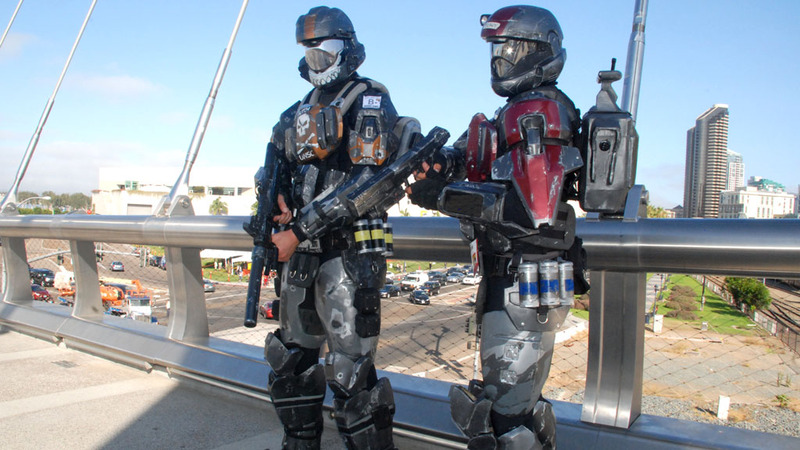 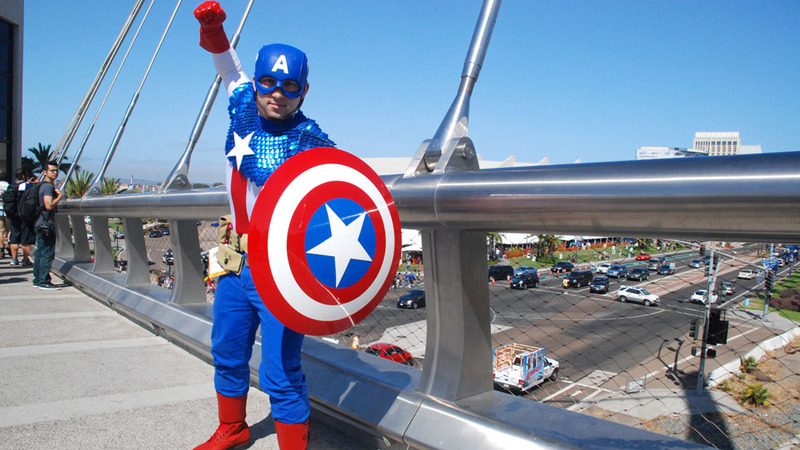 John Pollio (left) and Cary Lee of Redwoon City on bridge overlooking Comic-Con at the San Diego Convention Center. 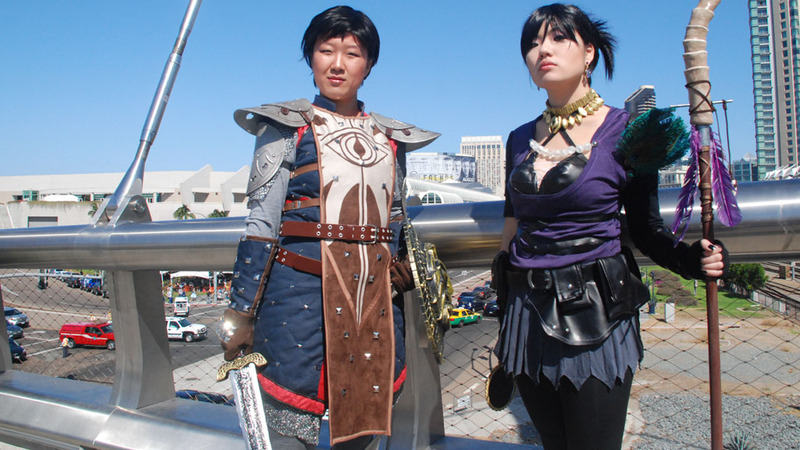 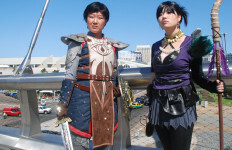 Rachel Long and Natalie Dai on bridge overlooking Comic-Con at the San Diego Convention Center. 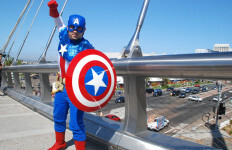 Captain America is Alek Pilman of Chicago on bridge overlooking Comic-Con at the San Diego Convention Center. Carolyn Michelson (left) and Callie Neilson of San Diego on bridge overlooking Comic-Con at the San Diego Convention Center. 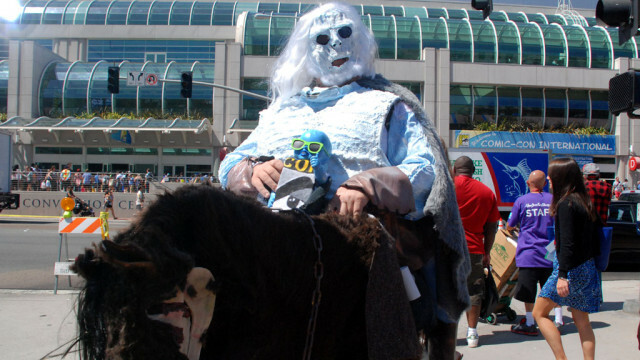 Mewling and puking in Emperor Palpatine’s arms.